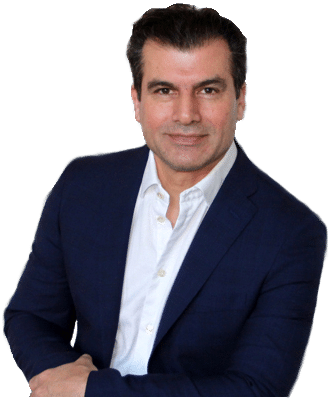 Mr Allen Rezai is a leading Consultant Plastic, Aesthetic & Reconstructive Surgeon based in Harley Street, London, from where his practice has gained an international reputation for excellence. Mr Rezai obtained his medical degree at the Lund University in Sweden. From there, he completed his Cosmetic, Plastic and Reconstructive Surgery training at international centres of excellence in Sweden, the United Kingdom and the Czech Republic, subsequently attaining his fellowship in Microsurgery at the renowned Chang Gung Memorial Hospital in Taipei, Taiwan, and the Microsurgical Training Center at Christus St. Joseph Hospital in Houston, Texas. Mr Rezai has in excess of thirteen years’ experience as a Consultant within the field of Plastic, Reconstructive & Aesthetic Surgery. Having personally performed thousands of procedures, he has an enormous breadth and depth of surgical expertise, with particular specialisms in breast and facial surgery, including ‘free flap’ breast reconstruction and head and neck reconstruction, the natural SMAS facelift, nose reshaping, short scar breast uplift and reductions, and natural looking breast enlargements. Mr Rezai is on the GMC Specialist Register for Plastic Surgery (GMC number 4228875). He is also an affiliated member of a wide range of organisations, including the World Society for Reconstructive Microsurgery (WSRM), the American Academy of Cosmetic Surgery (AACS), the Internation Society of Aesthetic Plastic Surgery (ISAPS), the European Society of Plastic, Reconstructive and Aesthetic Surgery (ESPRAS), the International Confederation of Plastic, Reconstructive & Aesthetic Surgery (IPRAS), the International Society of Plastic, Regenerative Surgery (ISPRES), the World Academy of Cosmetic Surgery (WAOCS), the Swedish Association of Plastic Surgeons and associate member of British Association of Plastic, Reconstructive and Aesthetic Surgeons (BAPRAS). I believe that undergoing cosmetic surgery should be a positive and transformative endeavour. To me, that means not only getting the best possible results, but also having a superb experience before, during, and after your treatment. Both my staff and I take great pride in delivering the highest level of care – care that is personal, professional and ‘hands on’. Our Lifetime Aftercare Plan is designed to demonstrate our continuous commitment to you. But don’t just take our word for it – have a look at what our patients have to say – we are one of the most highly referred private practices in the UK, with a very high percentage of our patients coming through word-of-mouth referral (see Patient Testimonials). And there are very good reasons for this. I believe that one of the most important considerations a patient should have when choosing a plastic surgeon is one who is honest, meticulous and who will provide realistic expectations of the outcome. Open, two-way communication, is the key to achieving this, for me, which is why we always take the time to fully understand your expectations and goals. I find the trend in plastic surgery is towards a more natural look. None of my patients want to look ‘done’. None of them do. They’re often pleasantly surprised, in fact, that their friends and family just think they look better but can’t figure out why! I passionately believe in a natural and minimalistic aesthetic, and invite you to take a look at our Photo Gallery to view a representative sample of my work. A cornerstone of my philosophy is that ‘less’ is, in most cases, ‘more’ – I firmly believe in performing the least invasive procedures to attain the desired result, and always use the latest advancements and techniques to achieve them. I don’t believe in adding frivolous ‘extras’ – only what will give genuine benefit, with outcomes that are predictable and proven. This approach, combined with meticulous technique, means procedure times are minimised, there is less bruising and scarring, and the most expedited recovery is possible. The most rewarding aspect of plastic surgery, for me, is guiding my patients through the process and witnessing how it enhances their lives. I see the joy and confidence great results can bring. voluntarily. They can be found on various forums and review sites. We think that you will be agreeably surprised and encouraged. Just click the following link… Allen Rezai Reviews (opens in a new window).Then return here and request a brochure or contact our friendly nursing staff with any questions or concerns, etirely without obligation or risk of harassment by sales agents, which none of us like. At Allen Rezai MD you will always be treated professionally and courteously.